Whilst developing Sage 200, Sage were mindful that there will often be a requirement for more features in the future. Certainly more features than any one organisation could hope to offer. With this in mind, Sage 200 was created to be open to outside Developers to compliment the system with functional Additions. The Addons that are now available for Sage 200, created by Sage-Accredited Development Centres such as ourselves, are as varied as they are purposeful. Rapidly growing businesses evolve with each day that passes. New processes are constantly being adapted and refined to better serve their existing customer-base. However, a time may come when existing capabilities are insufficient, and significantly new levels of ability must be obtained. Sage 200 has been at the forefront of accounting solutions for small-to-medium businesses for over a decade. During this time, Software Development Centres across the world have been listening intently to the needs of the many. And what’s the result? …over 160 addons for Sage 200! 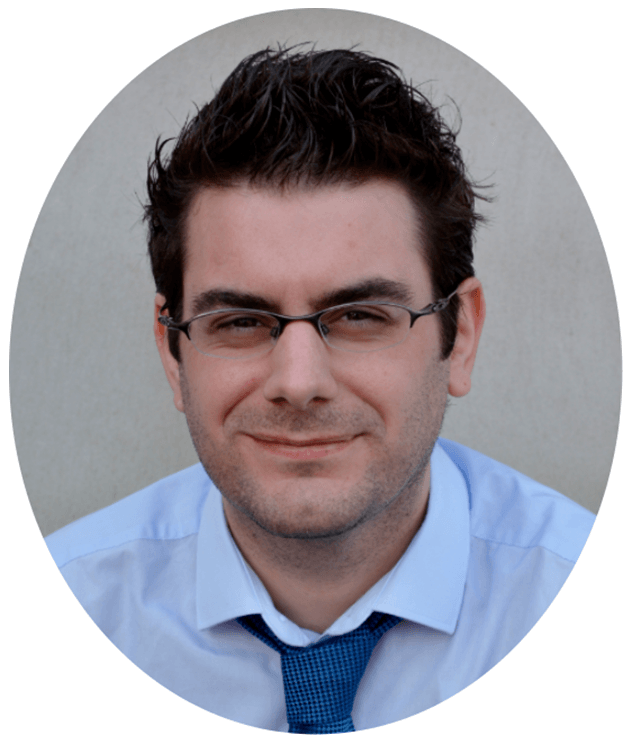 Recently I wrote about a couple of our very own contributions to the Sage 200 market, but now I’ll take a look at another great addon that could save your business a significant amount of time. Eureka Solutions are one of the well-established Accredited Development Centres of Sage 200 Addons. With over 2,400 sites using their products, they’re a reliable source for solutions. 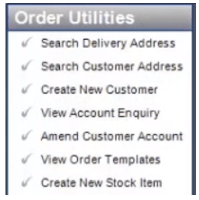 Sales Order Plus effectively provides users with the ability to generate orders quickly, with access to all other areas of the Sage 200 system from an outlook style menu allowing rapid order processing in a telesales or a trade counter environment. Having selected an item from the drop-down list, the rest of the item details will update automatically. Various fields can be changed such as the Description, Warehouse, and Fulfilment Method. 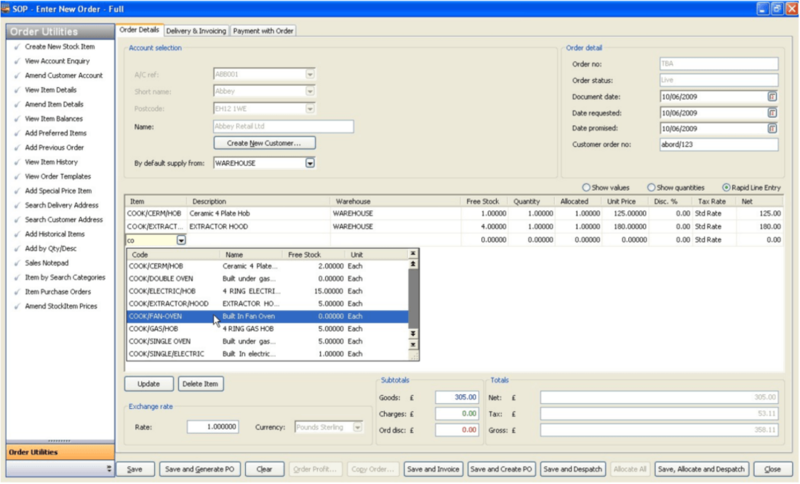 Users have the ability to process an order from entry, all the way through to invoice with one single click! 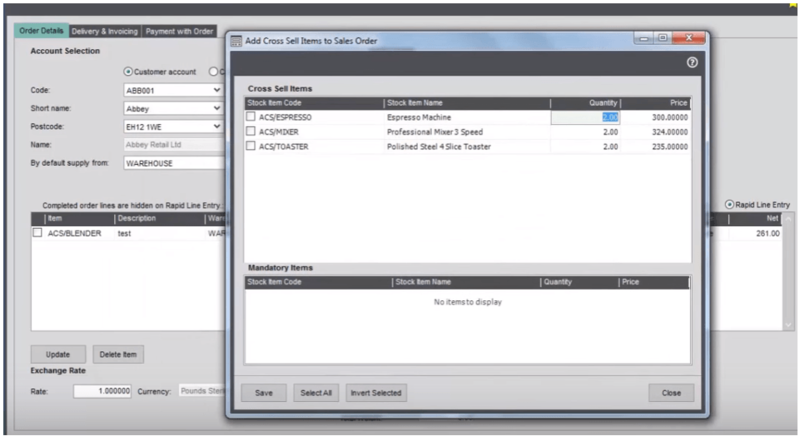 When an item quantity is entered, a ‘Cross Sell Items’ form can be set to appear. This form displays a list of items that are linked to the item selected, providing users with a great cross-selling sales tool. Search for Customers by Delivery Address, and review their trading history within seconds. Staff working in sales-driven environments can be completely self-sufficient without the need to leave this one area of Sage 200. The Outlook style toolbar keeps the screen from appearing cluttered, and as new features are added they will appear within this list. 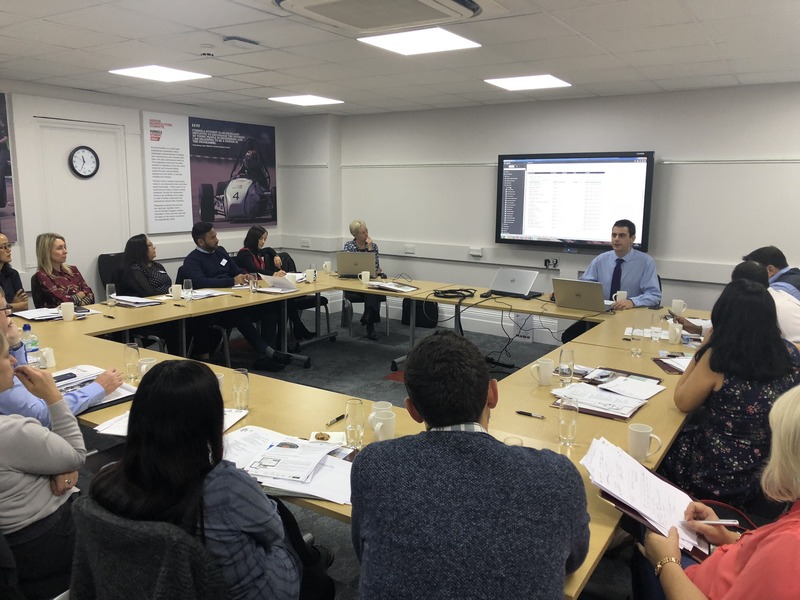 It might be difficult to see what this Sage 200 Addon can bring to your business without seeing it in action, so get in touch now to arrange a demonstration of Sales Order Plus!